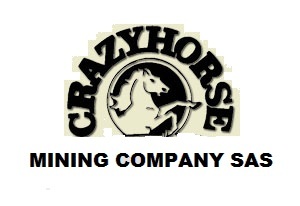 Crazy Horse Mining Company S.A.S. is a privately held Colombian company engaged in mineral exploration. The business model of Crazy Horse Mining Company is simple and straightforward. Crazy Horse Mining Company has found it advantageous to use its in-depth knowledge of Colombia to acquire and develop a pipeline of high potential greenfield prospects. Crazy Horse Mining Company undertakes preliminary geologic studies on a prospect in order to determine if it merits further investigation. Those prospects which merit further investigation are then offered to potential joint venture partners in order to advance the prospect into an exploration project. Crazy Horse Mining Company's Rio Sucio prospect can be viewed by clicking the link below.